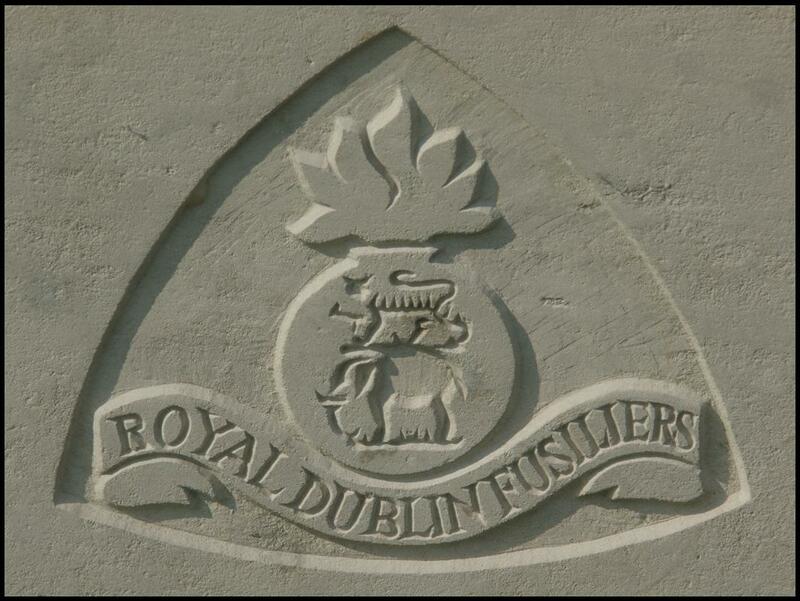 Fusiliers - as used by CWGC. Jack was born in Newbury in 1890 (possibly late 1889 - he was baptised on 24 January 1890), the son of John Henry Wilson and his wife Eva Maud Mary née Hicks. He was the second of their four children the others being Harry (born 1888), George (1892) and Octavia, known as Betty (1894). In 1896 Eva died aged only 32, possibly the result of another pregnancy. John Wilson was a Scot who moved to Newbury in 1888 to take over the veterinary practice of H J Hunt. The surgery was located down a small alley off the west side of The Broadway in Speenhamland – now known as Sadler’s Court. The premises were the subject of a very early photograph of Newbury, taken in the 1860s; the reason why the scene was selected by the photographer was the unusual advertising – a complete horse skeleton hung in a case outside the surgery. John’s journey south to Newbury involved a period in Yorkshire, where he had met and married Eva. It is not known where Jack attended school; he is not one of the old boys of Speenhamland School commemorated on their war memorial so it seems he was not educated in his local school. This might indicate that he was privately schooled. There is a J E Wilson commemorated on the Newbury Grammar School memorial who has not been identified to date (2015) – perhaps this was Jack with an added initial? Around the time of his 20th birthday Jack enlisted at Portsmouth into the Royal Dublin Fusiliers (RDF) - an odd choice for the Newbury-born son of a Scot. His regimental service number (106221) was issued in late 1909 or early 1910. 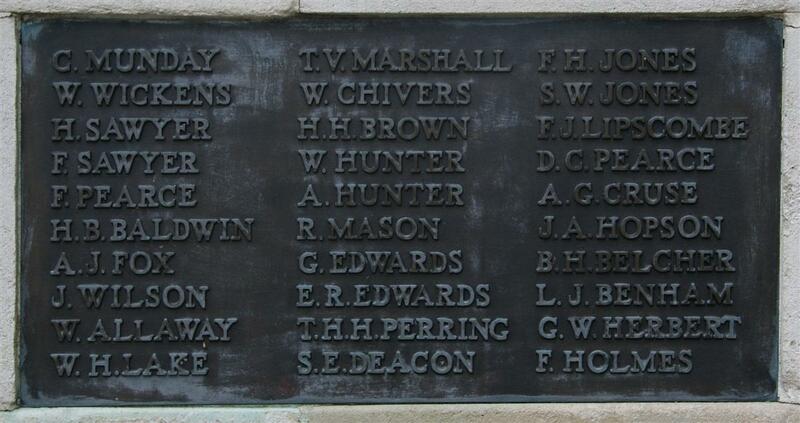 At the time of the 1911 census he was serving with the 2nd Battalion, RDF stationed at Tournay Barracks, Aldershot. At some point he was transferred to the 1st Battalion, probably being sent out to join them in India between 1911 and 1914. When war broke out in August 1914 the 1st Battalion was at Fort St George in Madras (Chennai). Regular units were immediately recalled to the UK to join the war effort in France and Belgium, many being replaced in their imperial policing role by Territorial units. The 1st Battalion RDF landed at Plymouth on 21 December 1914. They were billeted in Torquay for a few weeks but soon moved on to Nuneaton where the 29th Division was being formed. The battalion became a part of the 86th Brigade. Jack was in action before the end of 1915, thus qualifying for the award of a 1914-15 Star; this medal was awarded to all soldiers who entered a theatre of war between 23 November 1914 (the day after the end of the 1st Battle of Ypres) and 31 December 1915. Those who went to war even earlier were awarded the 1914 or Mons Star. The records that record the award of the 1914-15 Star list all recipients and include a code to identify the theatre of war and the date of entry. Most show code 1 (France and Flanders) and a date days or weeks before the soldier was in range of enemy guns. Jack’s entry has code 2(b) and the date 25 April 1915. His was no gradual introduction to war, there were no familiarisation tours in the trenches; his was as abrupt an introduction to modern warfare as any soldier had. There was no quiet disembarkation from a ship docked at Le Havre. The ship taking him ashore was the SS River Clyde, the landing spot was known as V Beach – Jack was welcomed ashore by a hail of bullets. Such was the RDF’s welcome to Gallipoli. The SS River Clyde at V Beach. The SS River Clyde did not dock, it was run aground a few yards off the beach, holes in its side opened and men of the 1st RDF and the 1st Munster Fusiliers attempted to get ashore across a bridge of boats. 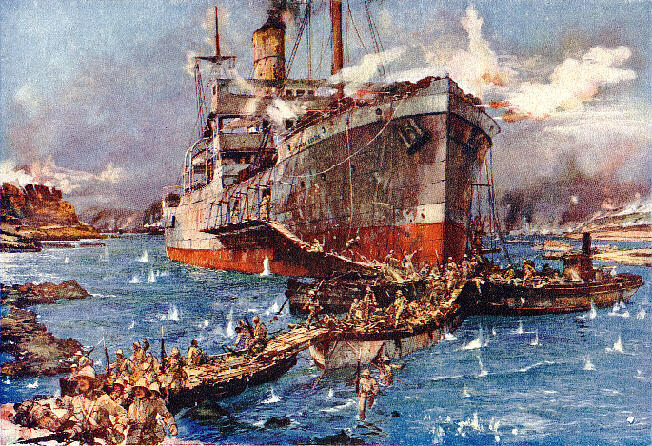 It was slaughter, the battalion strength at the outset was 25 officers and 987 other ranks, one (young) officer and 374 other ranks made it ashore – casualties in the first 36 hours at Gallipoli mounted to 637 men. The surviving members of the two Irish battalions were combined into a force nicknamed the ‘Dubsters’. Jack was a survivor, but very possibly one of the casualties that day or later in the campaign, which was also notorious for the prevalence of sickness, notably dysentery. At some stage he transferred from the 1st Battalion to the 9th (Service Battalion) RDF; a transfer like this was often the result of a man being hospitalised and reallocated when he returned to duty. However, it could also have been the result of the need to have some experienced NCOs (by this time Jack was a Sergeant) to help guide the new officers and lead the new soldiers of a ‘Kitchener’ battalion. The 9th Battalion crossed to France in December 1915; there is no way of knowing whether Jack was with them at this time or if he joined at a later date. I have read with much pleasure the reports of your regimental commander and brigade commander regarding your gallant conduct and devotion to duty in the field on __________ and have ordered your name and deed to be entered in the record of the Irish Division. The certificate was awarded at some date between the battalion’s arrival in France and 31 July 1916; time spent mainly along the northern Artois front around Loos. This was, in terms of the Western Front, a ‘quiet period’ of training and the day to day activities of a frontline infantry battalion. The most likely occasions for gallantry to be noticed would have been on one of the few trench raids the battalion carried out (with little result). Men of the Royal Dublin Fusiliers moving forward at Ginchy. The Battalion was in the support trench which it had dug. On the morning of the 9th September the dispositions of the units of the 48th Brigade for the assault of GINCHY which had been ordered were as follows. In front trench with orders to take the first objective and consolidate it: 7th R Irish Rifles, 1 section T M Battery; 1st R Munster Fusiliers, 1 section T M Battery. In support trench with orders to take the second objective and consolidate: 9th R Dublin Fusiliers, 1 sect MG Coy, 1 sectn 156th Coy RE: 8th R Dublin Fusiliers, 1 sect M G Coy, 1 sectn 156th Coy RE. 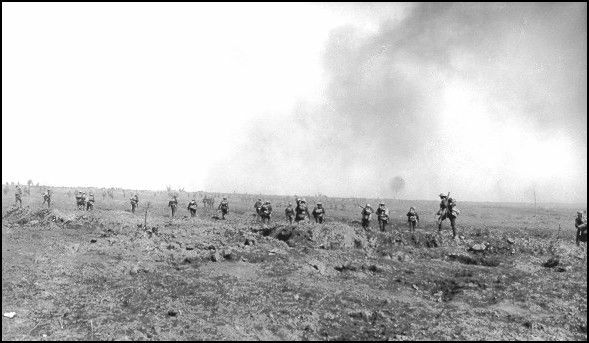 At zero (4.45pm) the line advanced under the artillery barrage on the first objective, each battalion assaulting with 4 companies in the front line, on a frontage of one platoon, platoons at 40 yards distance. First Phase Right Battalion (1st RMF) At the outset very heavy officer casualties were suffered. The right company experienced considerable opposition owing to the inability of the 8th RMF to advance. This company was therefore wheeled to the right & dug in. Owing to the shortage of officers the other companies lost direction and went on beyond their objective. Left Battalion (7th RIR) closely followed by 7th R Irish Fusiliers reached the first objective with slight resistance & with very few casualties. Second Phase Right Battalion (8th RDF) advanced to the second objective at 5,25pm and gained it without encountering very serious opposition. Left Battalion (9th RDF) advanced to the second objective at 5.25pm but suffered very heavy officer casualties in doing so. Captain W J MURPHY (commanding) being killed as the battalion reached GINCHY. The battalion owing to the loss of officers carried on beyond the second objective and had to be brought back & owing to the fact that the 55th Division had not come up. The left flank had to be brought back slightly. The line gained was then consolidated. Losses were severe, but nothing like those experienced by battalions involved in earlier assaults on the Somme battlefield and the results were very different. The successful capture and defence of Ginchy by 16th Division had seriously weakened the German position On 11 September General Gallwitz (commanding the German 2nd Army) wrote that if the process continued, Germany would run out of men and equipment and that the British heavy guns were destroying the German artillery. British tactics had evolved, the hard learnt lessons of the Somme were bearing fruit. Sadly Jack was among the 70 men from his battalion who died that day. His body was never identified, so he is remembered on the massive Thiepval Memorial to the Missing of the Somme. Locally Jack is remembered on tablet 3 of the Newbury Town War Memorial, and, possibly, as J E Wilson on the Newbury Grammar School memorial - now located in the reception area at St Bartholomew’s School.